Recently celebrating their 10 year anniversary, CoreStaff is one of the Territory’s leading recruitment agencies and recruiter of choice. One of five companies under the CGH Group banner, a locally-owned Territory business with national presence across all capital cities, CGH Group partners with organisations to provide top-to-bottom outsourced human resource solutions, including labour hire and talent management, search, recruitment and talent acquisition, recruitment process management, industrial and organisational psychology, organisational development and human resources as well as indigenous recruitment and mentoring. Whilst the company has experienced rapid growth since opening in 2008, CoreStaff has demonstrated a commitment to the Territory by retaining its Head Office here in Darwin, and recently moving to a prominent new location in Swan Crescent from their original CBD base. With a unique relationship-based approach to recruitment, CoreStaff takes the time to understand the needs of both the candidate and the recruiting business, ensuring the perfect fit for both parties. This is demonstrated by a high retention and success rates in the filled positions. CoreStaff have a strong history of successfully delivering recruitment and labour hire outcomes for their clients by following a proven account management methodology. The CGH Group covers all bases when it comes to integrated human resources and staffing solutions. 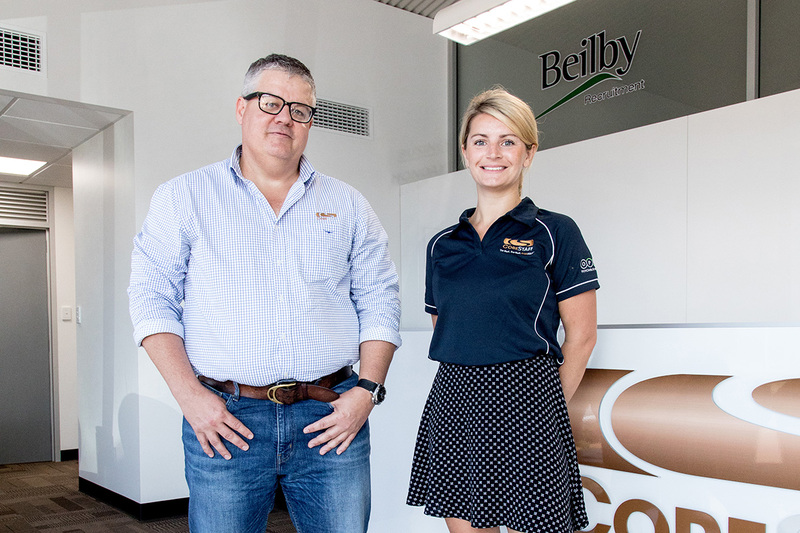 While CoreStaff focuses on trades and labour hire, mainly in mining, construction and civil industries, Beilby Recruitment specialises in executive and professional placements. OPRA Psychology Group provides psychometric testing and organisational psychology services, Focus360 provides safety management solutions to the industrial sector as a complete outsourced solution and Goal Indigenous Services works to provide opportunities for indigenous placements across a range of industries and is 50% Indigenous-owned by former NT Thunder Coach, Xavier Clarke. The new Goal office in Melbourne has former AFL player Dean Rioli on board as General Manager. The rapid success of all of the CGH Group businesses is a result of the commitment to employing highly experienced and motivated specialists, conducting all business activity with complete transparency and integrity, developing sustainable partnerships and effective networks and a reliable information technology platform. “The employment market in Darwin is busy at the moment and our footprint has increased,” says NT General Manager, Sam Jeffries. “Of course, it is always seasonal and market-driven here, which is one of the challenges in operating in the Top End.